Alfred Packer gained fame or infamy as the only man in United States history convicted of the crime of cannibalism. Legend holds that the crime occurred in 1874 near Lake City in Colorado’s San Juan Mountains when his party of prospectors became lost during a snowstorm. 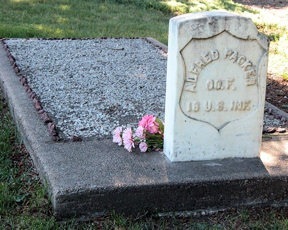 Packer is buried in the Littleton Cemetery off South Prince Street in Littleton, Colorado. 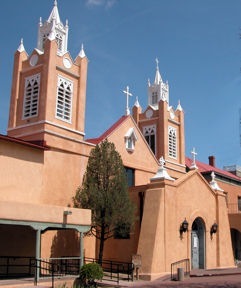 Quintessential New Mexico, the shaded plaza, adobe church, shops, galleries, restaurants, music, arts and crafts keep visitors returning to Old Town. Most Albuquerque tourists who spend time in Old Town circle the Plaza, admire jewelry spread on blankets, and pop into stores for souvenirs. Those who follow winding, brick walkways into quiet courtyards discover the essence of the Southwest – a slower pace, a musical duo, shaded patio cafes and one-of-a-kind shops. Colorful magic fills two rooms at La Casita de Kaleidoscopes. The gregarious owner encourages “try them all” as we gawk at the variety – miniature scopes on necklaces to massive floor models. Eighty artists from around the country handcraft these optical wonders. Descriptive names – Marble Scope, Passport to Paris, Dreamdrops, Eye on the Ball – entice us to pause for calming views. 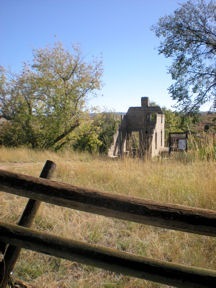 Guided walking tours sponsored by the Albuquerque Museum offer a historical and informative insiders view of Old Town. Museum docents lead the seasonal tours, mid-March through mid- December, pointing out details we’d miss own our own. A self-guided walking tour brochure is available at the museum for those whose visit doesn’t coincide with a guided tour. Clear blue New Mexico skies splashed with vibrant color, cottonwoods lining the Rio Grande River turned to a rich gold, the aroma of roasted chiles – October in Albuquerque. For nine days more than 600 hot air balloons take flight from Balloon Fiesta Park with tens of thousands of appreciative spectators craning necks skyward. The annual Albuquerque International Balloon Fiesta, October 3-11, 2009 draws balloon pilots and visitors from around the world. Ideal hot air ballooning conditions occur in the early morning hours after sunrise. Headlight leads our way to the park each day. I’m not a great morning person but as soon as we walk among the balloons preparing for liftoff I shed any grumpiness from my own early rising. Weather permitting, ascensions are scheduled each morning at 7am, hundreds and hundreds of hot air balloons drift o ver Albuquerque on weekends. Wednesday’s Flight of the Nations features International balloons from nearly 20 countries – Slovenia to South Africa, Brazil to Israel. Competitions and prize grabs challenge balloon pilots on other days. 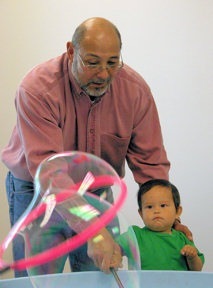 Special shape balloons take to the skies Thursday and Friday mornings. Four new shapes join 83 returning favorites. Stinky the Skunk, Lady Joker, a fire engine and as a tribute to Army aviation history Eddie and Rickenbacker make their Fiesta debut in 2009. Only the ever popular and sometimes utterly amazing special shapes lift off from the field those nights and participate in the evening Glowdeo. Night skies light up with balloon glows five evenings during the Fiesta. The sight may be even more spectacular than morning ascensions, well worth returning to Balloon Fiesta Park in late afternoon. A firework show caps each of the evening sessions after the glows. Most morning everyone’s packing up and heading out of the park by ten o’clock, there’s still a perfect autumn day ahead for additional events. Albuquerque easily entertains her guests with a full slate of activities, scenery, museums, culture and arts. Worthy of attention any time of year, I share ideas in the immediate area we’ve enjoyed and that fit nicely into Balloon Fiesta’s schedule. Click each activity to read more about the delightful options. 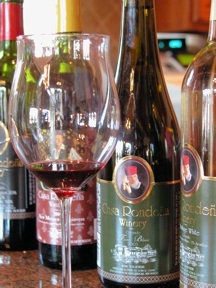 One of our favorite Albuquerque area destinations is the nearby village of Corrales. Although suburbia quickly approaches, Corrales maintains its 300-year-old rural ambiance along the banks of the Rio Grande River. In the fall roadside stands offer pumpkins, apples, pears, and jugs of cider. Photographers and artists gravitate to the Old San Ysidro Church. 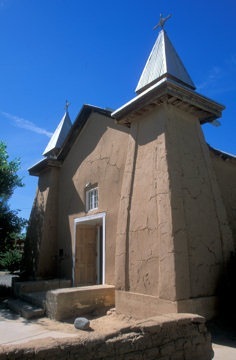 The picturesque restored adobe now serves as a community center. A stroll through the annual fine arts exhibit that coincides with Balloon Fiesta enriches a leisurely afternoon. 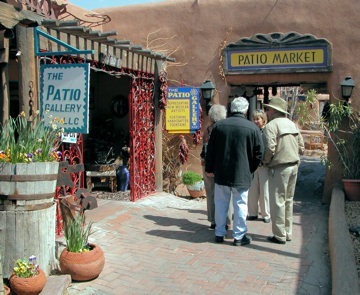 The village supports a number of unique galleries and shops. We always like to stop into the artist-owned Corrales Bosque Gallery. Among the original works from jewelry to visual arts in a variety of media there’s always something that captures my imagination. Hanselmann Pottery sells their wares on the honor system. I’m not a quilter but love to walk through the colorful fabrics at Quilts Ole. 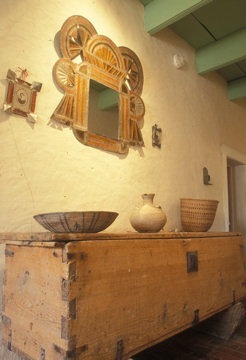 Behind adobe walls, Casa San Ysidro holds a treasure trove of early New Mexico. 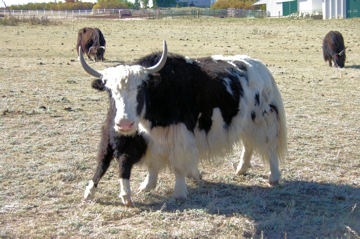 The replicated rancho was home to Alan and Shirley Minge from 1953-1997. Today the rambling house, furnishings, and extensive historic and artistic collections are an extension of the Albuquerque Museum. From the kitchen’s wood-burning cookstove to the altar in the capilla, or chapel, tours (by reservation) relate the fascinating stories behind artifacts and architectural details. Locally owned restaurants, wineries and bed and breakfasts ensure creature comforts while we savor the rural New Mexico ambiance. While visiting the Albuquerque International Balloon Fiesta, we often drive to Corrales for lunch and shopping. Peering in the window at Hanselmann Pottery we spotted shapes and glazes much to our liking . A bulletin board with purchasing instructions stands near the entrance. To our amazement, this unattended shop works on the honor system. 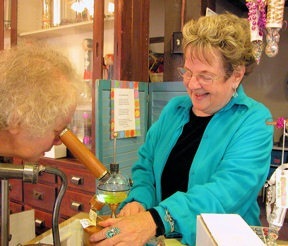 The Allen brothers, Tim and Fritz, have conducted business with this unique method since 1970. They stay busy in the on-site studio creating pottery dinnerware and accessories. The self-serve gallery keeps prices near wholesale cost. A pattern named Cinnamon appeals to me with its earthtones and teal. I believe someone on my Christmas list would prefer Lavender Sky. What a fun way to shop for holiday gifts! Instructions cover procedures for payment by cash, check and charge. We completed a sales form with pot ID# and price, added the total – tax is included in the price – sealed form and check in envelope, and deposited it into the designated slot. Packaging materials and a worktable are available for wrapping purchases. We left with our arms filled with pots and hearts warmed by the trusting, honor system way of doing business. Hanselmann Pottery located at 4908 Corrales Road, approximately 12 miles northwest of downtown Albuquerque is open 24/7 year round. We can also purchase from home 24/7 via their website. Three outstanding facilities stand without walking distance of each other. It couldn’t be easier to explore art, history, science, technology, natural history and astronomy. Time and energy runs out before we can do it all; but, the journey proves fascinating. 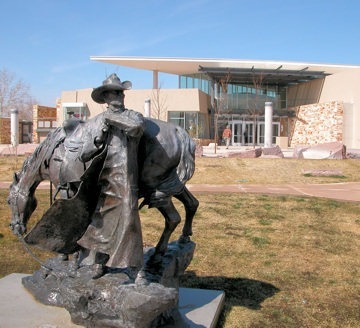 Albuquerque Museum of Art & History An outstanding permanent collection and excellent temporary exhibits make this a repeat experience when visiting the city. A permanent exhibit, Four Centuries, covers 400 years of history in Albuquerque. 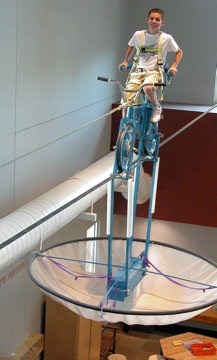 The museum’s art collection emphasizes contemporary and historic regional artists. We’ve been fortunate enough to see several quality visiting exhibits over the years. The outdoor sculpture garden presents numerous styles and genres. Guided tours of galleries and garden are available. The education department sponsors informative walking tours of Old Town. Explora! 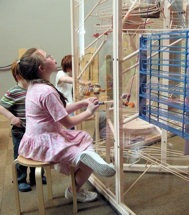 – An incredible, hands-on experience awaits learners of all ages interested in science, technology and art. Robotics lab to interactive fountain, principles of sound, motion, or electricity, this is a learning laboratory that fascinates tiny tots to senior citizens – a perfect multi-generation spot. Explora! is so popular with adults they get periodic adult-only Friday nights scheduled just for them. Visitors get so involved they spend twice as long as planned. This is truly an exception facility – a “have-to-do” while in Albuquerque. 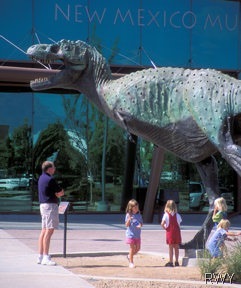 Dinosaur enthusiasts find the New Mexico Museum of Natural History & Science a must stop. We explore an ice cave, stand inside a volcano and ride the “Evola tor” for a Journey Through Time, from Origins 200 million years ago to the Ice Age. Collections include the world’s longest dinosaur and oldest mammal fossil. Within the museum, the Astronomy Center showcases a 55-foot diameter planetarium dome and high-definition imagery to explore our universe – and beyond. Permanent exhibits, Space Frontier and Making Tracks on Mars leads us through space exploration. Wise visitors include a Dynatheater show during their touring. Sitting back to watch the giant screen presentation offers the perfect way to rest without wasting a minute. Mummies: Secrets of the Past is the current feature.